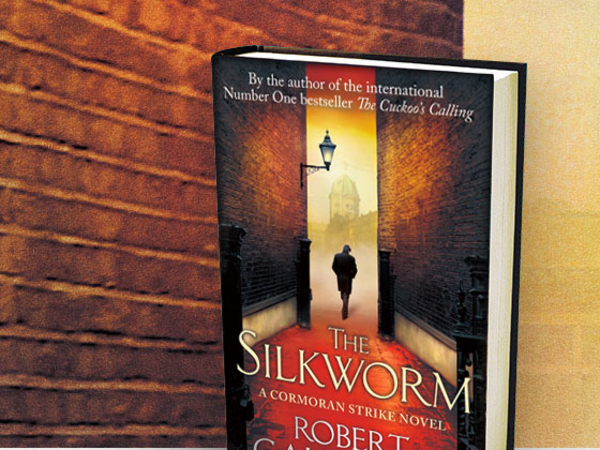 I started reading the silkworm by Robert Galbraith (J.K. Rowling) last month, the silkworm is the second in the series of detective mysteries involving Detective Cormoran Strike and his assistant Robin Ellacott. The Plot of Silkworm Revolves around The Owen Quine who has a panache for disappearing to make a news about nothing, but when he disappears for longer than usual, his wife calls in Cormoran Strike to find him. However, Strike soon realizes that Quine might be in serious danger or perhaps is dead. Over the course of two books Rowling has developed her own style of narrating a murder mystery. Arthur Conan Doyle's Sherlock Holmes was narrated from the diary of John Watson and followed the investigations of the famed detective from an A to B path of a crime mystery, Agatha Christie's Poirot was a bit different where the novels, mostly narrated in third person, usually involved Poirot sipping hot chocolate at his house and talking and befriending the suspects to carry out his investigations. They too focused on only one case at a time. Opportunity, where Poirot focused on Motive and reconstruction of the crime. Sherlock's stories were always more about his investigative skills rather than allowing the reader to guess who the criminal was. Giving a completely new character helps a lot. I've read a lot of detective mysteries in the last four years and most of them have been enjoyable but have more or less involved either Poirot's or Holmes' style of investigation. With Cormoran Strike we have some one who is talented but isn't someone who never makes a mistake! He not only concentrates on finding the murderer but also bringing enough evidence that'll stand in the court of law. glad to read about again when the book begins and feel bad that it'll be about an year later that you'll read about them. This sort of connection with the characters was only last established in the Harry Potter Series. However, Rowling's latest work isn't perfect. While the climax was brilliant the story itself can't be called amazing it was good but I've read better. The Silkworm like a good detective mystery, has un-surprisingly little action and springs up a surprise or a new lead just when you feel everything has slowed down to a steady pace. All this makes The Silkworm hard to put down and the climax is an icing on the cake (It's there in front of your eyes, yet beautifully camouflaged) !